21 July 2017, at 12:00a.m. US - It is estimated that parents seeking to have children through in vitro fertilization (IVF) spend between $12,000 and $15,000 each session plus the cost of medications, which could average between $3,000 and $5,000. Now, researchers at the University of Missouri publishing in the Proceedings of the National Academy of Sciences have made a discovery that could decrease the costs associated with IVF in humans - and it all started with piglets. R. Michael Roberts, an MU Curators Distinguished Professor of Animal Sciences and an investigator in the Bond Life Sciences Center, and Randall Prather, Curators Distinguished Professor of Animal Sciences in the College of Agriculture, Food and Natural Resources, work with pigs to research stem cells and the mechanisms these cells use to proliferate, communicate and grow in the body. During an attempt to improve how they grow these cells, researchers in their labs discovered a method that uses a special liquid medium and improves the success of IVF in pigs. "It was a serendipitous discovery, really," said Dr Roberts. "Generally, there are multiple steps to producing viable embryos that we can then implant in pigs and cows involved in our research; however, it's costly and sometimes yields very little return. We were seeking a way to do that more efficiently and stumbled upon a method that may have implications in human fertility clinics as well." In IVF involving pigs, scientists first extract oocytes, or eggs from female pigs as well as the "nurse" cells that surround them and place them in a chemical environment designed to mature the eggs. The eggs are then fertilized to create zygotes, or single-celled embryos that are allowed to develop for six days. These embryos are then transferred back into a female pig with the hope of achieving a successful pregnancy and healthy piglets. 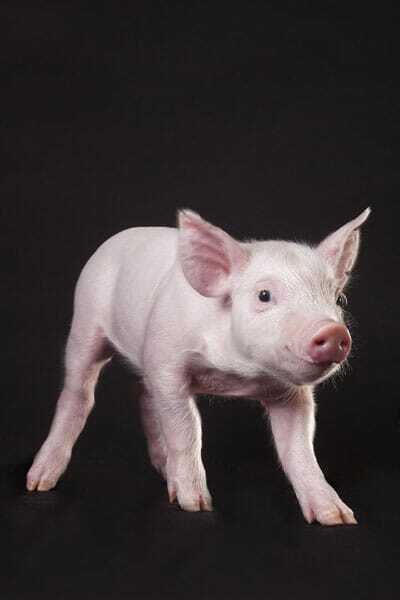 "The chance of generating a successful piglet after all those steps is very low; only 1-2 percent of the original oocytes make it that far," Dr Roberts said. "Normally, researchers overcome this low success rate by implanting large numbers of embryos, but that takes a lot of time and money." Ye Yuan, a former research assistant professor in Dr Roberts' lab, and Lee Spate, a senior research specialist in Animal Sciences, were tasked with increasing the efficiency and quality of piglet embryos before they are implanted. In one study, the team analyzed various special growth factors used when culturing pig stem cells and added two factors--fibroblast growth factor 2 (FGF2) and leukemia inhibitory factor (LIF). They found that this combination, when added with a third factor--insulin-like growth factor--created the special fluid environment the oocytes needed to become competent for fertilization and further development to embryos that could provide a successful pregnancy. Together, the three compounds create the chemical medium called "FLI," which could revolutionize both piglet and human IVF treatments; a patent application has been filed through the MU Office of Technology Management and Industry Relations to encourage commercialization of the new method. "It improved every aspect of the whole process and almost doubled the efficiency of oocyte maturation," Dr Roberts said. "Whenever you're doing science, you'd like to think you're doing something that could be useful. When we started it wasn't to improve fertility IVF in women, it was to just get better oocytes in pigs. Now it's possible that FLI medium could become important in bovine embryo work and possibly even help with human IVF," Dr Roberts concluded.